What Nootropics Are Effective For Promoting Restful Sleep? Are you researching nootropics for sleep? A good night’s sleep is one of the most sought after commodities people are looking for these days. We have all experienced the feeling of not being able to fall asleep on some occasion, but what if this is happening to you on a regular basis? Not only can sleep deprivation cause you to be less energetic and productive the following day, over time this can actually negatively affect your brain function and cognitive health. Sleep is incredibly important for maintaining proper health of your body, neurons and especially your memory systems. If you are like most people who have difficulty getting the recommended amount of sleep on their busy schedules, ensuring that you experience high-quality restful sleep is also important to make the most of the time you have. There are a number of nootropics that can help you fall asleep and make you feel more rested when you awake the next day. Nootropics are a class of supplements that are used to improve cognitive abilities like better learning, memory, attention span and reasoning. But, there are also specific Nootropic supplements that can dramatically improve your sleep. This includes helping you to fall asleep more quickly, stay asleep, and even induce more restful sleep. Many different factors can interfere with your sleep patterns and it is important to figure out which one is affecting you in order to address your particular situation. Some people have high stress levels and find it difficult to shut their mind off at the end of the day. Others are able to fall asleep but do not spend enough time in a deep sleep state like REM. Below are some of the most common problems related to poor sleep as well as nootropic supplements that can help in each case. Many people simply find that they cannot fall asleep quickly at night. If you are one of those who seems to spend half the night tossing and turning you might be suffering from cognitive over-excitement. In this case, using a nootropic that boost inhibitory neurotransmitters can turn off some of the excessive stimulation. Two of the best Nootropics to help you mentally relax are Phenibut and Picamilon. Phenibut is one of the strongest Nootropics to take for boosting relaxation and tranquility. The best way to use this would be taking a small amount right before bed. It works by crossing the blood-brain barrier and then modulating a number of brain chemicals that cause the mind to be less active. These include GABA and Dopamine. Both of these are powerful neurotransmitters that have been shown to reduce levels of stress and anxiety. Phenibut is also interesting in the fact that it is surprisingly effective at inducing sleep in the night. This can be very helpful for restoring normal circadian rhythms. Picamilon is another excellent Nootropic supplement that helps to induce relaxation, leading to the ability to fall asleep faster. Picamilon is made from Niacin and GABA which is actually the chief inhibitory neurotransmitter within the human body. This simply means that it prevents your neurons from being overly excited. You can think of your neurons as always either switch off or switched on and firing. One of the main problems with people who have difficulty relaxing and falling asleep quickly is that their neurons are continuously firing in a state of excitation. GABA is capable of turning them off, leading to an overall feeling of calm, well-being, and relaxation. (This is exactly how alcohol works by activating certain GABA receptors). Taking Picamilon will boost your GABA levels and help you get to sleep. Another major sleep problem is that once it is achieved, it can be difficult for individuals to remain asleep. Frequently waking up in the night can be highly problematic because it disrupts the normal cycle and does not allow the brain or the body to get the full amount of rest it needs. Once again, Phenibut is capable of helping in this regard. This is due to the fact that it is actually a GABA agonist. The relaxing effect is not short-lived, so taking this supplement right before bed also has the effect of improving one’s ability to stay asleep and wake less during the night. Aniracetam is another Nootropic which can be very helpful in dealing with sleep issues. This supplement is an analog of Piracetam that works by speeding up the utilization of both Dopamine and Serotonin. These are neurochemicals used to help regulate mood, movement, sleep, and relaxation levels. Aniracetam is known for anti-anxiety effects and can be used to combat problems with stress and depression. Many Aniracetam reviews say that this supplement increases their ability to sleep throughout the night. Some people also experience more dream activity when taking Aniracetam, including the possibility of lucid dreams. Even if you manage to stay asleep all the way through the night, some people wake up feeling as if they just went to sleep minutes ago. You may wake up feeling like you are in a fog and unable to focus clearly. This can sometimes happen when you are awoken during the middle of one of your REM cycles which is why an alarm clock is never ideal to use. However, this is also often connected with a lack of deep sleep during the night. There are a few nootropics which can promote deeper sleep and help you achieve more time in an REM state. L-Theanine is one of the active ingredients found in green tea leaves. It has been shown to smooth out alpha brain waves which are thought to be responsible for inducing a deep level of relaxation. This ultimately results in the mind being calmed and the body relaxed. Another interesting fact about this amino acid is that it neutralizes the stimulant effects of caffeine without changing the mind energizing and fat burning benefits. Taking this in the evening before bed will help most people to sleep more restfully and wake up refreshed. Huperzine A has also been shown to increase the levels of REM (deep or dream-state sleep) by as much as 30 percent. This should also be taken about 30 minutes or so before bed. Since there have been some research that shows tolerance can built for this supplement the best idea to use this no more than a few times a week. Melatonin and L-theanine are two popular dietary supplements taken to relieve sleeplessness and to promote relaxation. They both have a calming effect on the mind, but work by different mechanisms of action. Melatonin is the body’s main sleep regulating hormone, produced endogenously from the neurotransmitter serotonin. Melatonin supplements are primarily used to alleviate interrupted sleep patterns, jet lag and insomnia. However, there is growing research suggesting that it has mood-related benefits as well. L-Theanine is an amino acid commonly used to alleviate stress and anxiety. It is frequently taken in combination with caffeine in a nootropic stack to support cognitive abilities, focus and attentional control. L-Theanine works by increasing levels of the neurotransmitters serotonin, dopamine, and gamma-aminobutyric acid (GABA). It has been shown to influence brain EEG patterns to produce more alpha waves, which are indicative of lower stress levels and improved attention and alertness. There are some instances in which combining these products may have additive benefits. Depending on your supplementation goals, Melatonin or L-Theanine can be taken separately or as a combined supplement in capsule or tablet forms. Produced by a small, pine-cone shaped organ located in the middle of the brain known as the pineal gland, melatonin is an indole hormone regulating wakefulness and sleep in humans and other animals. Specifically, melatonin helps keep circadian rhythms synchronized to ensure sleep-waking timing in humans remains in harmony with daylight and nighttime. Secretions of this neurohormone are low during the daytime and increase at night based on detection of light in the ambient environment. Increasing levels of this hormone through supplementation has been shown to improve sleep latency, quality and duration in multiple research studies. Oral melatonin is used to relieve symptoms of insomnia, jet lag, shift-work disorder and other sleep-wake problems preventing people from sleeping normally. This hormone also affects a number of other bodily functions and is being researched for high blood pressure, anxiety, anti-cancer effects, mood disorder, cognitive function, digestive health and more. 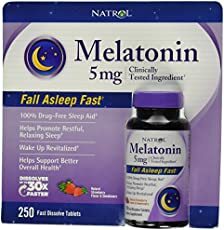 Blind people suffering circadian rhythm disorders due to their inability to perceive the difference between night and day take melatonin to help restore normal levels of melatonin in the brain. Extracted from green tea leaves belonging to the Theaceaefamily of trees and shrubs, L-theanine is a non-proteinogenic amino acid. This means that although it has the chemical structure of an amino acid (a building block of proteins), it is not used in the body to make proteins. Research shows that supplementing with L-Theanine (Gamma-ethylamino-L-glutamic acid) promotes subjective feelings of tranquility and reduces mental and physical stress. As a dietary supplement, it has been used for anxiety, to promote feelings of relaxation, support cognitive function and for mood enhancement. L-Theanine has been described as exerting calming effects without acting as a sedative. Users report taking it to provide relief from anxious thoughts and inability to quiet the mind before sleep. Clinically, L-Theanine has also been studied for hypertension and some symptoms of Alzheimer’s disease. It may also enhance the effects of chemotherapy medications. However, it has not been approved by the FDA as a drug for the treatment of any medical conditions. L-theanine also exhibits neuroprotective properties and has been shown in animal research to prevent certain forms of neuronal damage. It has also been shown to increase the synthesis of nerve growth factor, which is involved in neuroplasticity. Taking L-theanine and melatonin together may help support sleep quality and ability to fall asleep at night. They may work in conjunction to relax the mind and body and regulate sleep cycles simultaneously. While L-theanine reduces feelings of physical and mental stress, melatonin works to help induce sleep by increasing levels of this natural sleep-regulating hormone in the brain. There are no research studies available to evaluate clinical efficacy. However, based on anecdotal user reviews, there are reports of this combination being more effective than using either supplement individually. Melatonin is well-established as being effective for addressing sleep problems. The Natural Medicines Comprehensive Database reports that it can improve the time it takes to fall asleep and improve symptoms of insomnia in certain circumstances. It also appears to promote a modest improvement in subjective feelings of sleep quality. However, it does not appear to significantly improve sleep efficiency, which is a measure of the total time spent sleeping at night compared to the total amount of time spent in bed. Interestingly, in one study on the effects of l-theanine for sleep disorders in children with ADHD, this supplement was shown to improve sleep efficiency. One randomized, double-blind, placebo-controlled clinical trial on a proprietary brand of L-Theanine called Suntheanine® looked at the effects of this supplement on objective measures of sleep quality. The study involved 98 male children diagnosed with attention-deficit/hyperactivity disorder (ADHD). Participants consumed 400 mg of l-theanine or a placebo daily at breakfast and after school for six weeks. Over the treatment period, boys who were taking Suntheanine® experienced significantly higher sleep percentage and sleep efficiency scores compared to those on the placebo. Though sleep latency (time it took to fall asleep) was unchanged, sleep quality was higher with no significant adverse events reported. There are several dietary supplements available today that contain L-theanine mixed with melatonin. 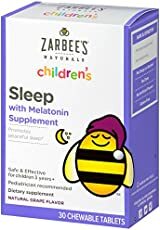 The reviews on these supplements are generally positive and suggest that some people may experience added benefits compared to taking melatonin on its own. What is the recommended dosage for stacking L-theanine with melatonin for sleep? Combination supplements come in capsule form containing 200 mg of L-theanine and three mg of melatonin. It may not necessary to take these supplements at the same time in order to experience positive effects on sleep cycles. Melatonin is typically taken before bedtime to promote restful sleep. L-Theanine is typically used during the daytime. In one research study, split dosages of 400 mg per day administered at breakfast and in the afternoon were also shown to improve sleep quality. Therefore, you may not need to take this supplement at bedtime to observed benefits. A typical adult dosage of melatonin for sleep is between two-tenths and five milligrams one hour before going to bed. Doctors recommend starting with a small dose and slowly increasing the dose if needed. Nature Made Melatonin Plus L-Theanine 200mg is a popular brand of combination sleep supplement containing both of these ingredients. Containing no preservatives or artificial flavors, Nature Made Melatonin Plus L-Theanine 200 mg comes in easy-to-swallow soft gels. Users should take one soft gel about one hour before bedtime. The only difference between Nature Made Melatonin plus L-theanine and Nature Made Sleep is the cost of these supplements. User reviews of this product are highly positive with 70% of reviewers providing a 5-star review. User testimonials say that it helps to alleviate excessive mental chatter at night, making it easier to relax, fall asleep and stay asleep throughout the night. Before taking L-theanine and melatonin together, ask your doctor if any of the medications you are taking will interact negatively with this supplement. Both L-theanine and melatonin are well-tolerated as dietary supplements. When combined, they may promote a synergistic effect causing greater sleepiness than if taken separately. Certain medications may interact adversely with melatonin. These include anti-platelets, anticoagulants, anticonvulsant and diabetic medications. As a dietary supplement, L-Theanine is commonly stacked with caffeine. Many users are interested in understanding the effects of combining melatonin with L-Theanine and Caffeine supplements. L-Theanine is derived naturally from green tea leaves, where it exists in combination with caffeine. Use of these supplements together has been shown to enhance cognitive skills such as reaction time and memory. Although it would seem counterintuitive, taking melatonin and caffeine together can sometimes help users experience a deeper, almost hypnotic-like sleep that relieves fatigue for a short period of time. This is because caffeine increases the bioavailability of melatonin. However, mixing caffeine with melatonin and l-theanine does not appear to cause the same effects in all users. Response to this stack largely depends on sensitivity to caffeine. If you are regularly able to consume caffeinated products late in the evening without experiencing insomnia, this stack could work for you. If drinking caffeine makes it difficult for you to fall asleep, do not consume it before bedtime. Foods containing small amounts of caffeine like chocolate or soda will not interfere with melatonin inducing sleepiness, unless large amounts are consumed. In general, if you are interested in using L-Theanine supplements to promote sleep, you should look for versions of this supplement are caffeine-free. You can either buy a pre-made product like Nature Made Sleep or purchase bulk L-theanine and melatonin supplements individually to combine on your own. Lemon Balm is a memory boosting, anti-anxiety nootropic also known as Melissa officinalis. It is a plant from the mint family and considered to be a calming herb that has been used for many centuries in medicinal contexts. It was administered as long ago as the Middle Ages to help reduce stress and anxiety, promote sleep, improve appetite, and even ease pain and discomfort. More recent studies point to using Lemon Balm as a cognitive enhancer able to improve processing speed and memory. Although it is native to Europe, the plant is now grown all over the world for use as a natural nutritional supplement. The Lemon Balm plant grows up to two feet in height and the leaves are very deeply wrinkled, ranging in color from dark to yellowish green. The effects of Lemon Balm are numerous and varied, driven by many different chemical compounds found within this plant and its extracts. One of the active ingredients in Lemon Balm supplements is eugenol which has been shown calm muscles and even numb tissues. Terpenes are additional ingredients that are thought to add to the soothing effects of the supplement. Lemon Bam extract also contains rosmarinic acid which has been found to inhibit GABA transaminase. This enzyme works to remove GABA when it is released by your neurons at the synaptic cleft. By inhibiting the transaminase enzyme, Lemon Balm an effectively increase GABA activity in the brain. GABA is one of the inhibitory neurotransmitters, used by your brain to prevent over-excitement and attain balance. It is responsible for ensuring that we are not overly stressed and plays a role in sleep cycles. 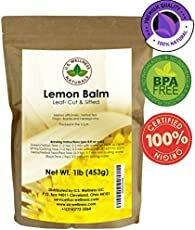 Increasing stimulation of GABA receptors will produce a sedative or calming effect and explains why Lemon Balm works as an anti-anxiety supplement. Other anxiolytic nootropics such as Phenibut and Picamilon also work by utilizing GABA pathways but with slightly different mechanisms of action. Lemon Balm also exhibits activity at nicotinic and muscarinic receptors in the brain which makes it a great natural supplement for brain hacking. These receptors respond to the neurotransmitter acetylcholine which is integral to working memory capacity, memory formation, logical analysis and basic cognition skills. Lemon Balm is considered to have cholinergic binning properties and may have some positive effects on individuals with Alzheimer’s disease. In a 2003 study published in the journal Neuropsychopharmacology, individuals given Lemon Balm were recorded to have improved attention accuracy scores as well as better working memory and secondary memory performance. Individuals also experienced greater calmness and alertness when taking this supplement. Furthermore, Lemon Balm is considered to be an adaptogens meaning that it helps the body deal with external stressors in the environment. Many of the ingredients in Lemon Balm are also thought to kill bacteria and possibly even certain viruses. A number of tannins are believed to contribute to the antiviral effects. This also may explain why the supplement has strong anti-oxidant properties. The most common use of Lemon Balm as a supplement is for anti-anxiety purposes. It is used to promote relaxation and deep, restful sleep. Many user report that stress seems to melt away when using this supplement along with irritability, nervousness, and even depression. Lemon Balm and similar preparations have also been shown to improve mental performance. Healthy users have reported increases in memory, learning capacity, and even sensory perceptions in some cases. Lemon Balm extract is also known to be a very potent anti-oxidant. This means that it may augment immune system functioning and provide protection against inflammation, infection, and disease. This also may relate somehow to it anti-bacterial and anti-viral properties. The plants leaves were used even before the Middle Ages for wound healing, and especially treating venomous insect bites and stings. 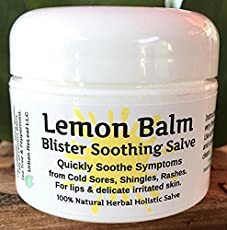 Lemon Balm may also provide relief from conditions such as chronic fatigue syndrome and digestive problems ranging from bloating, gas, vomiting, heartburn, colic, and even poor appetite. Many women find that this supplement can help them with menstrual pain and even serves to stimulate the menstrual period in cases of weak or absent cycles. The supplement may also help to protect the heart and cardiovascular system. Many users have experienced relief from heart palpitations, allergic reactions, and rapid heartbeat. The generally accepted dosage range for Lemon Balm is between 300 and 500 mg per day. 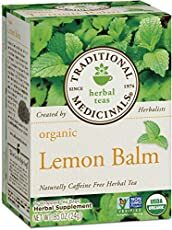 Using Lemon Balm for other purposes (like as a sleep aid or anxiolytic) may require slightly higher amounts, but there is no officially determined dose for these cases. As such, deciding how much to use may require a bit of experimentation. 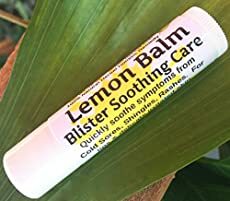 Lemon Balm may also be used in a number of different formulations such as in a tea or as a topical skin rub. New users are always advised to start out with the lowest effective dose and only increase from there gradually. Lemon Balm is considered to be a very safe natural herb. In fact, this compound is sometimes even given in small amounts to babies who have colic. Most users will not experience any side effects when taking this nootropic. The only known side effect of Lemon Balm is that it may cause an increase in drowsiness. It would probably not be a good idea to drive or operate machinery until you know how the supplement affects you. There may be some people who have unique reactions to this supplement. It would not be recommended for someone using anti-anxiety drugs, anti-histamines, muscle relaxants, anti-seizure drugs, sedatives, or tranquilizers. Lemon Balm is one of the most underrated nootropic supplements. While it is regarded best for its anxiolytic properties, this herbal extract also has been proven to improve memory, attention, accuracy and reasoning skills. It works on both the acetylcholine and GABA systems in the brain, boosting your mood and leading to greater synaptic plasticity. Lemon Balm can be taken by almost any healthy adult and can kick your immune system into overdrive. If you are currently using other medications for anxiety or depression, it would be best to speak to your doctor before you consider adding this supplement to your daily routine.